Who we are & why we farm. fair farming & delicious food. We believe that everyone deserves wholesome food, and strive to make our produce accessible to all. practices to make the world better. Clover Bee Farm is the culmination of Andrew and Margo’s joint dream of nurturing the Earth, creating community, and living a life of justice and beauty. Andrew began farming in 2012 after he realized that life is too short to not do what you love. Since being inspired to farm, he has worked at Loon Organics in Hutchinson, MN, Sleeping Frog Farms in Cascabel, AZ, and Gardens of Eagan in Eagan, MN. Margo has been a life-long artist, gardener, and lover of the outdoors. She began farming in 2013 at Sleeping Frog Farms, and later worked at York Farms in Hutchinson, MN. Andrew and Margo met in 2011, married in October of 2016, and enjoy farming together very much. 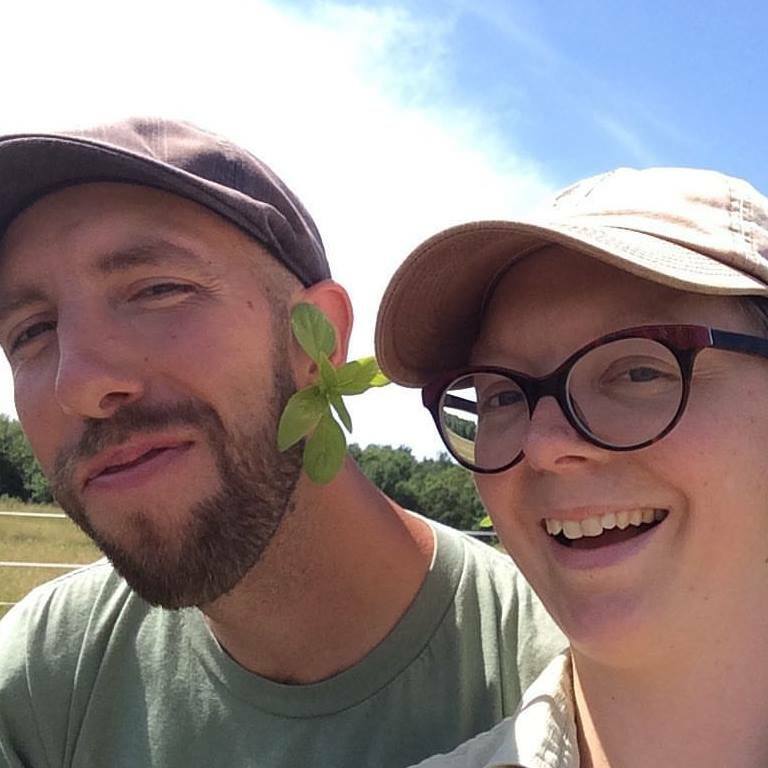 When they’re not running the farm, Andrew and Margo enjoy hiking, biking, and being outdoors, catching up with friends over coffee, reading, drawing, and playing with their dog Aida and cats, Ellie & Milton. Follow Clover Bee to get recipes, see sneak peeks at CSA boxes, and catch important farm updates.